A Christian mother and her son were arrested on February 20, 2017 in Urmia by the Revolutionary Guards Intelligence officers. They were both immediately transferred to an unknown location. 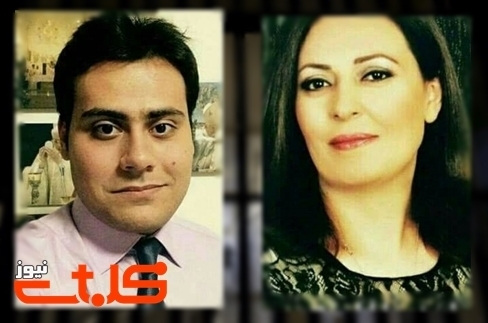 The two arrested were identified as “Anousheh Reza-bakhsh” (Veronika) and her son Soheil Zagarzadeh Sani (Augustine). They were both arrested in their home in Urmia, in the Western Azerbaijan province in northwestern Iran. There has been no further update on their whereabouts and well-being since the day of their arrest. Soheil Zargarzadeh Sani is a psychology university student in his senior year. Eye-witnesses told Mohabat News that a group of intelligence officers raided their home and confiscated their books, including their Bibles and some books on Christian theology. The mother and son who were arrested were converts to the Catholic church and had never been arrested before for their faith or any other reason. It is believed that those arrested in Urmia for faith related charges are normally detained in the Revolutionary Guards Intelligence building. The last reported Christian arrest in Urmia dates back to September 2008, when the Revolutionary Guards raided the residence of Schroeder Yadegar, one of the ministers at the official Assyrian Evangelical Church in Urmia. The Revolutionary Guards thoroughly searched his house and detained him without any explanation as to why he was being arrested. Along with him, another believer who was visiting him from Tehran, was arrested as well. They were both charged with spying for, and contact with foreign countries. Just two days after their arrest, another Iranian Christian convert named Sobhan was arrested as well for his conversion from Islam to Christianity. One of the campaign promises of the supposedly more moderate president of Iran, Hassan Rouhani, was equal rights for religious and ethnic minorities. However, since he took power, reports indicate a more aggressive crackdown on religious and ethnic minorities has occurred. Another Iranian official, Alavi Boroujerdi, a prominent Islamic cleric in Iran, emphasized in one of his recent remarks that people of all faith should co-exist peacefully. He claimed religious minorities have absolute freedom in Iran. These seemingly positive remarks do not seem to have any effect on the way Iranian religious minorities, including Christians, are treated.